NanoTecNexus (NTN), a premier nanotech educational organization, and members of the Graduate Society of NanoEngineers (GSN), a society formed within the Department of NanoEngineering at UCSD, will delight attendees of the "Chemistry of Wine" event with eye-opening nanotechnology demonstrations. The fundraiser is scheduled for April 16th at Knobbe, Martens, Olsen & Bear LLP office located at 12790 El Camino Real, San Diego, CA. 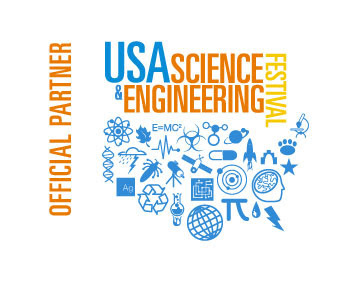 The event supports the first national scale program from NanoTecNexus to exhibit at the 3rd USA Science & Engineering Festival (USASEF) held in Washington, DC April 25-27. Fundraiser attendees will have the privilege of previewing a sampling of the visual hands-on demonstrations that will be showcased in DC and witness first-hand why nanotechnology is the most exciting field of study today. "Nanotechnology is the future of virtually all of our existing technologies, and now nanoengineering has developed into its own field of study," says Timothy O'Connor, co-founder and president of GSN and UCSD team leader for USASEF. "We founded GSN to be a resource for students pursuing nano-related fields and have an obligation to inform society and inspire the next generations at the USASEF". Educational demonstrations include color changing nanoparticles, invisible nanopatterns that ward off water, sand that will not get wet, clothes that do not stain and concrete that conducts electricity. The exciting part is what this can do for applications in next generation medical, electronic, solar, and environmental industries to name a few. The goal and challenge from an educational perspective is to convey complex phenomena that occur only at the nanoscale and make it accessible and fun to learn. "We live in a world where technology is not only rapidly evolving, but is increasing immensely in complexity. This is perfectly demonstrated in the world of nanotechnology," says Tyler Dill, co-founder of GSN. "My primary goal is to advance our technology for the future. But I have a secondary goal, to spread awareness of what we do and why it's so important. I firmly believe scientists and engineers need to reach out, and to help others understand why their work matters." Adriana Vela, Founder and CEO of NanoTecNexus said, "Successful collaborations require more than a common goal. They require passion and conviction for the cause and we are pleased to see that dedication from the GSN team in their efforts to support the USASEF program." Timothy O'Connor - is committed to using his five years of experience and knowledge in the fields of nano-electronics, renewable energy technologies, and nanoengineering to help secure a responsible energy future for our nations. Tyler Dill - the son of two scientists, has always loved to tinker and figure out what makes the world tick. His driving force is to better the world through the development of new technologies; but also to spread science and engineering to those who are curious about joining the field, and to those who just want an answer to the question: how does it work? Tarah Sullivan - works with plasmonic nanomaterials with the aim to make ultra-sensitive optical sensors. Through her research she strives to develop new technologies and contribute to developing the science and technology sector in her home state of Hawaii. Chandler Miller - intends to receive his Ph.D. researching high voltage all-solid-state Li-based batteries. His inspiration for pursuing a degree in electrochemistry is to make green energy cheaper and more accessible. Ultimately, he plans to create a start-up to increase advanced battery chemistries to sizes capable of grid-scale energy storage that will allow better integration of solar, wind, and other forms of green power sources. The wine tasting and lecture features Dr. J. Ernie Simpson, a highly recognized and respected wine educator and professor of chemistry at California State Polytechnic University, Pomona. Efforts for the NanoTecNexus Program culminate in being among hundreds of exhibitors providing more than 3,000 hands-on activities and more than 100 live stage-performances educating more than 300,000 attendees. Our mission is to foster the professional, educational, and social development of NanoEngineering graduate students by working with the Department of NanoEngineering to provide 1) opportunities to build relationships and network with other graduate students, department faculty and alumni, and members of industry, 2) resources to help new students transition smoothly to graduate school both academically and socially, and 3) programs that help graduate students to work beyond the lab and participate in outreach events. GSN acts as liaison between the graduate student body, the department administration, faculty, and staff, and the local and professional community.